The 240 Classic offers a classic design with modern construction and modern performance. 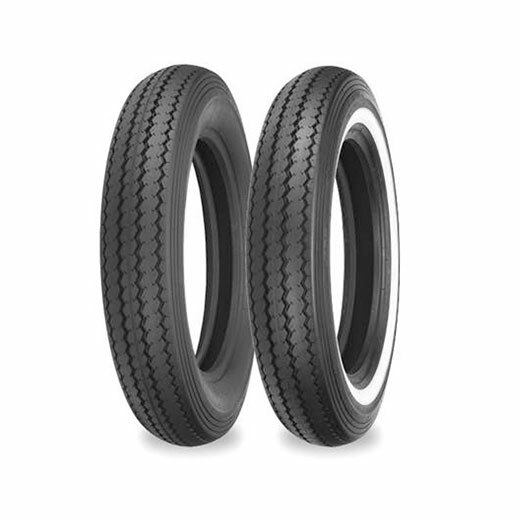 Ideal for that old school look or for your custom brat, bobber or cafe racer yet still offering modern tyre capabilities. The 240 Classic is available in standard Black side wall, whitewall and double white line construction therefore giving you great customization across the range. In addition to this the 240 Classic is built with 4 ply carcass construction. or double stripe whitewall versions.